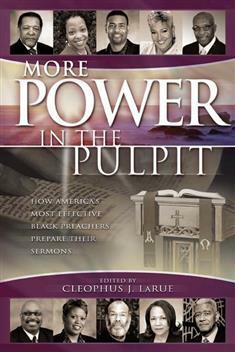 In this companion and sequel to the best-selling Power in the Pulpit (2002), which has sold over 11,000 copies, more of America's best-known and most influential African American preachers describe how they go about preparing their sermons. Each preacher also presents a sermon that highlights his or her particular method of sermon preparation. This book is an excellent how-to manual for pastors and students, presenting sage advice and wisdom on the art of preaching and an inspirational look at the work of some of the most prominent figures in the life of the black church.